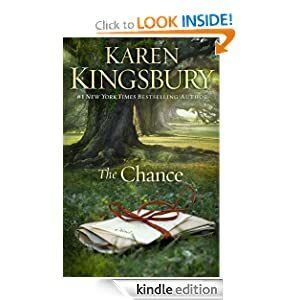 From #1 New York Times bestselling author Karen Kingsbury comes a heartwarming story about childhood friends, broken lives, and a long-ago promise that just might offer the hope of love for today. The day before a teenage Ellie moved from Georgia to California, she and her best friend Nolan sat beneath the Spanish moss of an ancient oak tree where they wrote letters to each other and buried them in a rusty old metal box. The plan was to return eleven years later, dig the box up, and read the letters. But now, as that date approaches, much has changed. Ellie has abandoned the faith she grew up with, her days consumed with loving her little girl and trying to make ends meet. Sometimes she watches TV to catch a glimpse of her old friend Nolan, now an NBA star, whose faith is known by the entire nation. But few know that Nolan’s own personal tragedies have fueled both his faith and athletic drive. Despite his success, Nolan is isolated and lonely, plagued by a void in his heart that has remained since that night beneath the old oak tree with Ellie. For both Ellie and Nolan, the coming date is more than just a childhood promise. It’s the chance to make sense of it all—the chance to find out if it’s ever too late to find love again.